ONE morning, I sat quietly in our garden on the dry sandy earth. A fresh sea breeze stirred the leaves of the trees. Where I sat, with my back to a background of ivy leaves I was somewhat sheltered from the wind by an apple tree and a large rosemary bush. I dwelt in the quietness, in the peaceful presence of leafy greenness. The wind, filtering through the backdrop of tree and shrubs, flowed around my body, gently playing tug-of-war with my hair. The fresh feel of the wind was part of the surrounding tranquility. 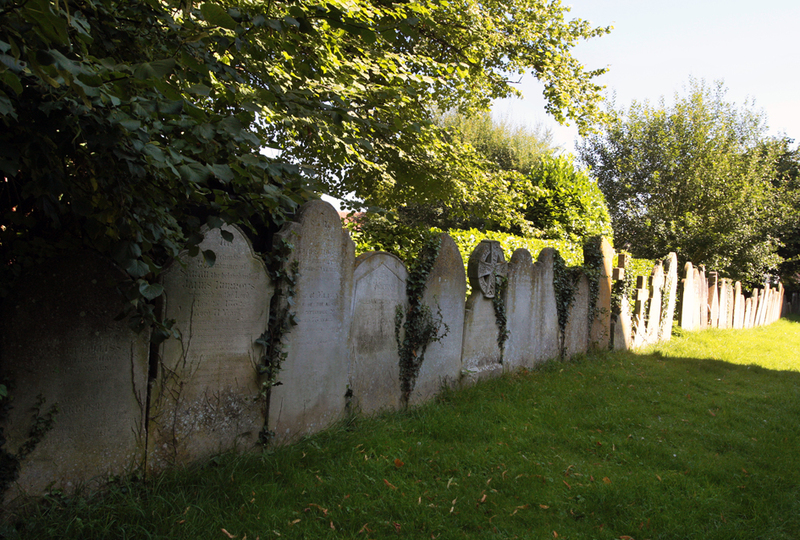 I gazed around at each part of the garden in turn – just looked, asking no what or whys of the plants or the doves walking nearby, foraging for food. So many questions asked of life, so many explanations offered. Life goes on unaffected by the qu esting mind. The green world is untroubled by questions nor does it seek answers. It is what it is, responding to the changing seasons, going through the cycle of seed, growth, fruiting, producing seed, then decay. All without complaint. Seemingly mute, it responds to sun, water and earth – acted upon by natural conditions and in turn leaving its mark on the environment. The plant world goes its way without protest, without reaching out to be bigger or better by deliberate intent. 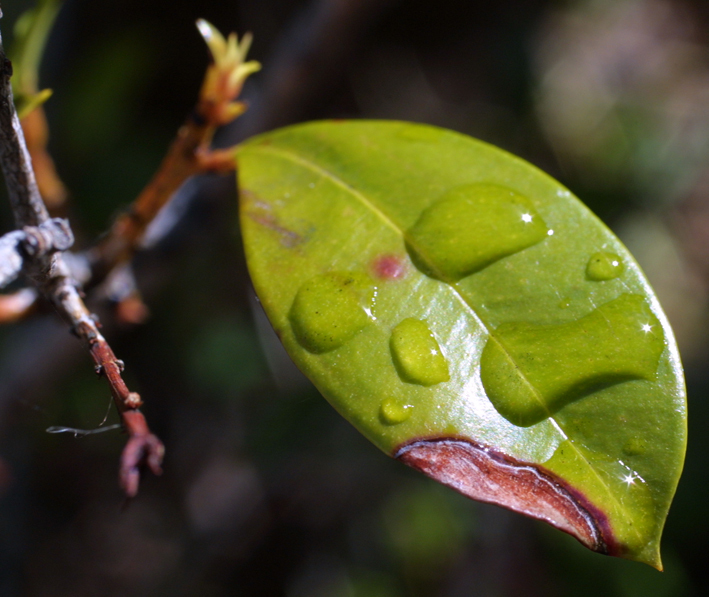 Self consciousness is not the way of plants. This is the world of man and with it goes dissatisfaction, torment, the desire to expand, to be more – uncertainty and problems. Would that we could not only be self conscious but also have the tranquility of a tree. To be calm whatever storms come one’s way would be a considerable asset. To take the buffeting then restore and repair the damage without inner loss would be commendable. This is the inner poise reflected by the sages, by those whose hearts are anchored in sublime stillness. This is a strength of a different kind. Natural in its expression yet arising after years of selfless development. The weakness of ego expression has been eradicated to be replaced by spiritual strength, by what issues forth from the Eternal. Physical strength, outstanding success on the field of sport, in various walks of life are not its immediate purpose. This may come to pass or may not. It is considered irrelevant. The sages are inwardly fixed on spiritual flowering, on indwelling in the universal. Ego is banished, not permitted to hold centre stage of the human expression. Categories: Nature, Philosophy, Spiritual | Tags: Modern living, nature, peace, self understanding | Permalink. What use is it to ask the why and wherefore? Birds fly, grasses grow without fuss or bother. Only man torments himself with questions. Life goes on regardless. Does life, the universe need reasons for its existence? Or is this the invention of the human mind, bent on understanding in this way? Apart from man, life does not reason why. There is birth, growth, decay and death but the system goes on and on. Only man suffers the torment of an inquisitive reason. So, everything is wrapped in reason and man is satisfied. Sometimes I wonder if modern man belongs to the natural order of things – or is he an aberration? Long ago, before his present state of displacement he was close to the earth and the sky, to the seasons, to the green world and the sea. Then he broke away and became civilized with all its attendant problems and deep sense of separation. Now technologically competent and reason wise he seems lost in an alien world, divorced from the wonder that surrounds him. More’s the pity. His mind is ever busy and overflowing with movement. But what of the heart, of that inner need to return to the magic that once he knew? When the Springtime of Life was ablaze with wonder and he walked in kinship with all that surrounded him and asked not questions of why and what? For there was no need for this. He was at one with the All that Is and that was all that mattered. All else was secondary and of lesser consequence to the expanded state of his exalted Being. Categories: Nature, Philosophy, Spiritual | Tags: Enlightenment, Mother Earth, nature, philosophy, self understanding, Spiritual awakening, Spiritual awareness | Permalink. “The human heart longs for peace and harmony. It seeks a restful haven from the relentless busyness of everyday life, drawing us to spend tranquil moments in natural surrounds that offer a brief respite from the hustle and bustle. There is a state of inner stillness, when the endless chatter of the mind has ceased, that a deeper understanding arises. These are the ‘still waters’ that bring new life to mankind, that lay claim to the heart and redirect the mind. These are the waters of peace, love and true togetherness that lift us up to divine heights of being and living. 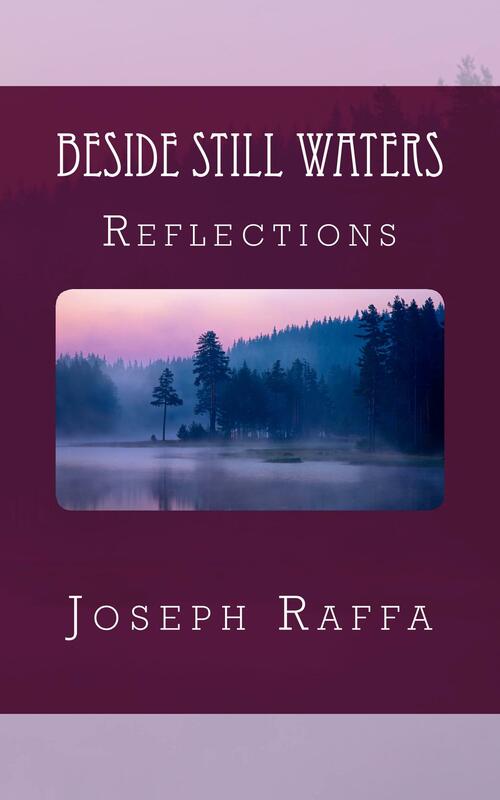 So writes Joseph Raffa in the foreword to Beside Still Waters, a beautiful collection of essays that touches on the universal search for meaning. 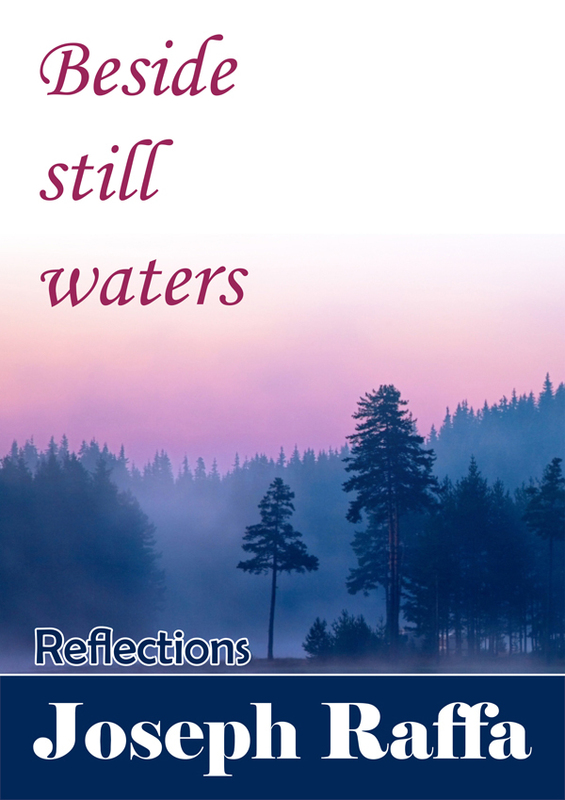 His words inspire readers to reach out for the still waters of the spirit. 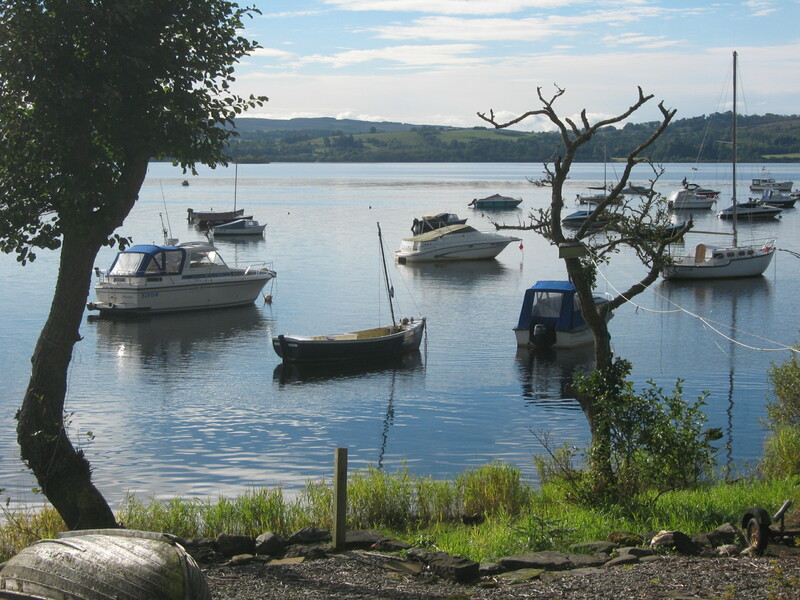 Beside Still Waters is available from Amazon.com in paperback and e-book formats. Categories: Nature, Philosophy, Spiritual | Tags: Joseph Raffa, nature, peace, tranquillity | Permalink. 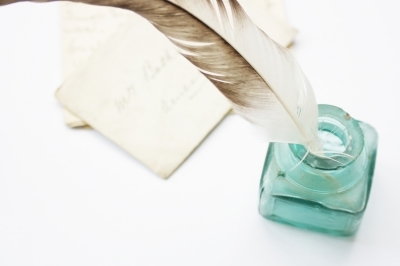 There is an oft-repeated saying that the pen is mightier than the sword. Although both have been active for many years human nature has not improved significantly for the better. It should be obvious by now that it must take more than the pen, force or human intention to bring about the changes that are badly needed. A clearer guidance system in human affairs is necessary – one superior to the present collective human reason and one capable of over-riding the disarranged and disjointed efforts that have prevailed to date. What would follow if scientists tried sending a rocket projectile into outer space with a faulty launching system? The rocket could well go anywhere but where intended. Human living has been in disarray, not expressing the harmony that should flow naturally from being cast in God’s image. Is it the Creator at fault or human nature in ways not yet fully understood? Certainly violence, selfishness and disturbing behaviour have a wider expression than love and happy cooperation. What’s the attraction that draws people to a vigorous support of the self and its standing in life? If any experience, any action threatens the self or blocks its demands and desires, then reaction and retaliation follow. Another saying often heard is that unconditional love is the solution to our problems. But this kind of love seems to be beyond most people. Love that expects a return, we know. To give, to do, and gain favours in return, this is the way of the mind, of the self in action. Our love has boundaries. Our families, friends, state, nation, we will give and work for what or who we are identified with. After this our kind of love loses its force. Outsiders are looked on differently. What we care for then, is the self, all that’s included within its conception of what it is and should look after. Outside of its own area it is somewhat indifferent to what takes place. What then is the self? How has it come into being? What is its basis for action? We know it as a conscious expression in time, a composite expression of physical and mental attributes. These we have evidence of. We hear too that there is a spiritual side – a soul side. This we may or may not know. It depends on whether evidence of the soul has come our way. Perhaps in this lies our trouble. We act from the physical, mental and emotional side and confusion often follows. Troubles too. Spontaneous action from the soul or spiritual side and there’s a different story. Harmony, love, joy, follow, understanding too. A welcome change in the human expression flows. The self is temporarily put aside, its self-destruct capacity brought to an end. Where does evidence come from to verify all this? Not from reason. The spiritual is beyond its comprehension. Nor in any way from a mind conditioned by the senses or the ordinary flow of experience. The barriers are too great. The mind can only act from what it knows, talk about what it has experienced or believes. But life, to be lived without disruption, needs a factual base, one of the reality of what we are and a clear understanding of what is actually taking place. The clearer the understanding, the more informed the actions. Enter the spiritual, the reality of what we are and the source of the clearest insights that could ever flow into the mind – about human behaviour, its motives for action, its background, even of the ultimate nature of the universal expression. We hear this, we read words like this and we are stymied. The spiritual is an unknown quantity. We can’t find a signpost pointing the way that guarantees certitude. People try, each in their own way, formulating methods, adopting techniques, meditating, disciplining mind and emotions. Everything helps a little including reading and reflection. But only on an intellectual level. And this is not the spiritual. 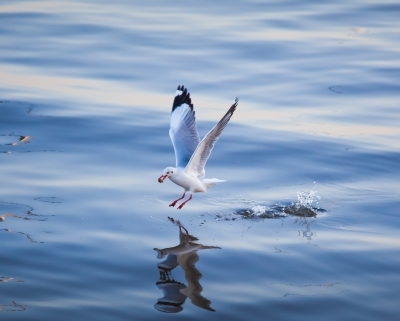 The self is persistent in its movements and will continue as long as it is imbued with the idea that intention, application and reason are the way to go. All this plus the “right” techniques. And that is the core of the difficulty in this business of spiritual discovery. While the self is full of its own activity, that which is not a mere self-projection cannot come shining through. If the darkness continues can there ever be light? Understand this. The self is the darkness, the barrier that prevents realisation. While it circulates as the centre of the human expression, it holds centre stage like a prima ballerina. Let the dance of the self stop. Do not feed it in any way. All the strands of self activity must come to rest. Mental, emotional, imaginative, the whole kit and caboodle of what the self is. And if this is allowed to happen, naturally, spontaneously, it’s like the sudden end of a prolonged storm, Serenity reigns. Serenity and silence. In this moment when the self is not, the spiritual shows its nature and whomsoever it happens to, is reborn. And then you learn that there is something mightier than both pen and sword and also that the spiritual is what we came from and this is what we are going back to and that a life based on spiritual discovery is the best way to go. 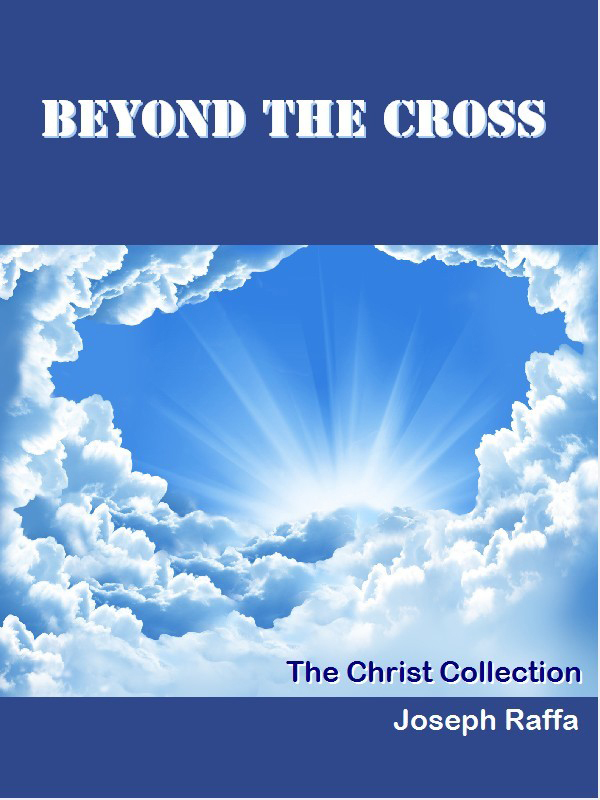 Joseph’s moving collection of short pieces about Jesus is available from amazon.com.uk this weekend at a significant discount. Categories: Philosophy, Spiritual | Tags: Enlightenment, Joseph Raffa, philosophy, self understanding, spiritual | Permalink.